The hallmark of true craftsmanship lies in the quality of its crafting techniques. This is why Cuadra has chosen to use a completely natural oxidisation process. 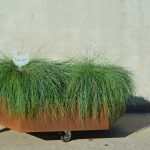 No chemical products are used, just quality which responds to the rhythm of nature. The Cuadra oxidisation process produces a material which, when ready for sale, has oxidisation equivalent to around 5 months of exposure to sun and rain. 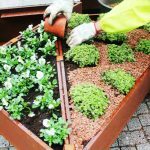 Through this process, the Corten becomes covered with an even, protective patina of oxides from its alloy elements, which prevents the spread of corrosion. This protective coating, which is an attractive brown colour, will go through a variety of shades through the years, so that besides providing effective protection against the weather, it will also continue to make the product more beautiful. 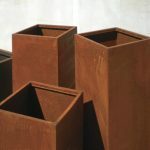 Cuadra’s metalwork production includes different types of Corten, each distinguished by a particular finishing treatment. 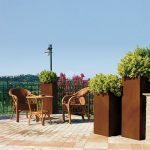 The Corten steel is subjected to the Cuadra natural oxidisation process. 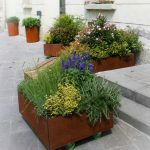 After the Cuadra oxidisation process, the Corten is coated with an anti-leaching patina which does not alter the surface of the material but prevents corrosion caused by atmospheric agents. After the Cuadra oxidisation process, the Corten is covered with a stabilising surface layer of wax. 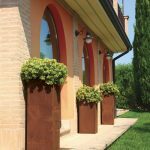 After the Cuadra oxidisation process, the Corten is covered with a stabilising resin which prevents the rust from rubbing off and provides greater surface protection.